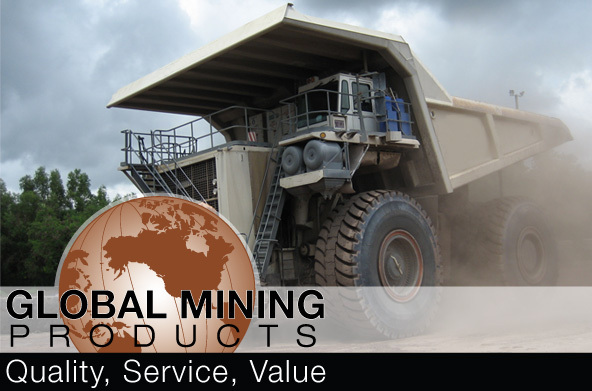 At Global Mining Products, we are committed to delivering quality and value to our customers by tailoring our products and specialized services to our customer's needs & priorities such as safety, productivity, cost savings, and return on investment. Our knowledgeable staff has over 70 years experience with heavy equipment in the Mining, Logging, Trucking, Oil and Gas, Nuclear Power and Construction industries worldwide. Our commitment to ensuring total customer satisfaction has led to the expansion of our company with offices in USA, South East Asia and Canada. Global Mining's Product Catalog is available for download. RAD Torque wrenches deliver powerful, accurate & safe torque load. These lightweight and ergonomic hand held pistol grip tools are being used in many industries worldwide. Global Mining's knowledgable staff has over 70 years experience in off road applications, to offer you accurate information on the proper wheels, rims and accessories for all your heavy duty applications. Hydraulic Lift Systems providing lifting and safety solutions to the heavy equipment industry for a variety of equipment management and safety challenges. 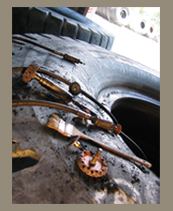 Specializing in LARGE BORE, SUPER GIANT BORE, SUPER LARGE BORE and SUPER EXCEL tire inflating systems for large and giant off-the-road tires. Handheld hydraulic power for all industrial applications, specializing in bead breakers, cylinders, pumps and rams. Our socket design is clearly superior to most other sockets available. The state of the art electro-chemical machining process makes it possible to produce all of our sockets in the less-stress configuration. Our axles are manufactured from quenched and tempered alloy steel castings. The material selection and heat treatment process used provides the highest impact values in the industry. © 2006 Global Mining Products Inc. All Rights Reserved.